The backbone of this journey—and of our name—is hope. In a cynical, scarred world, hope has fallen out of favor. It is perceived as weakness and naïve thinking. This is not the hope we have experienced in the Gospel. Hope sees the world as it is—with all of its ugly brokenness. Hope sees the suffering in Africa’s forgotten prisons and the suffering of communities that have been shattered by crime. Hope sees it all… and rejoices! God is not finished. Hope sees the world in all its dark reality, but it also sees Jesus at work—building something new. Since 1991, this hope has been at the centre of our ministry. 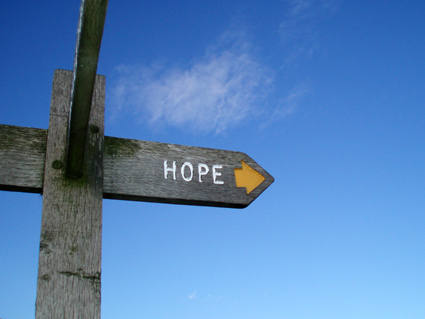 Strategies and programs come and go; but this hope does not change.